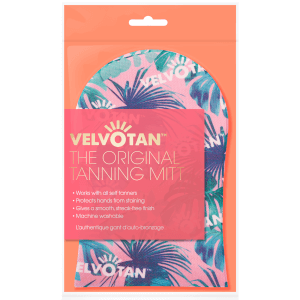 Achieve an even, streak-free glow with the Velvotan Self Tan Applicator Face Mitt. 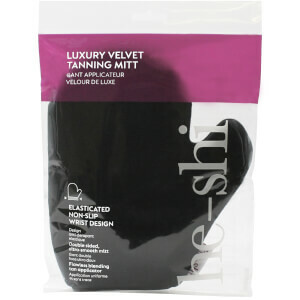 Soft and reusable, the machine washable mitt is gentle enough for use on both the face and body. 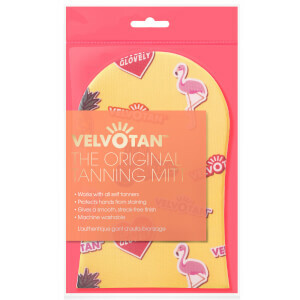 Perfectly sized for evenly distributing fake tan creams, mousses, sprays and tinted moisturisers over the face, neck and ears, the mitt is designed with a special formulation-resistant barrier to protect hands from staining. 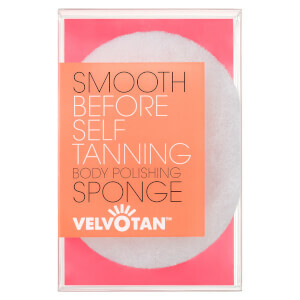 Place fingers inside the applicator mitt and apply your preferred self tan product to the soft, velvety surface. Apply to the face with a smooth, gliding action, repeating if necessary.